Founded by Doug and Sandi Groves, the Elephant Outreach Program is dedicated to fostering a more harmonious relationship between humans and elephants in the Botswana area. After meeting Doug, Geoff Kent personally invited the Groves to house orphaned elephants near Stanley’s and Baines’ Sanctuary Camps. In addition to Sanctuary guests, local school children from nearby villages interact with the elephants during two-day long excursions meant to introduce children to the animals in the same up-close and personal manner that A&K guests receive. Most children know elephants only as a problem animal that tramples their fields. 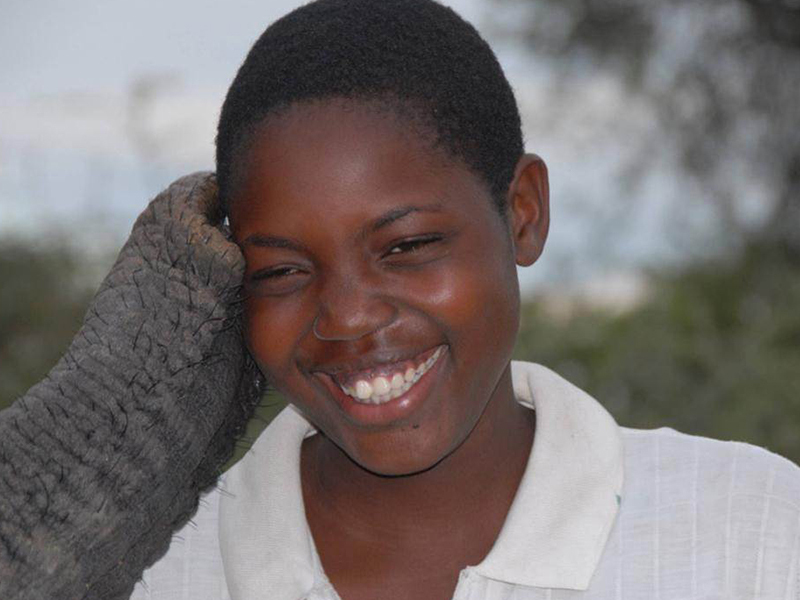 With a new understanding and appreciation for the elephants and their place in the local ecosystem, the children feel inspired to protect their future. Spend a half day getting to know the duo of orphaned elephants on an interactive walk where you will learn the ecology and behavior of the large animals through the guest experience, Living with Elephants. Following the walk, eat a picnic lunch with Doug and Sandi while the elephants forage nearby. 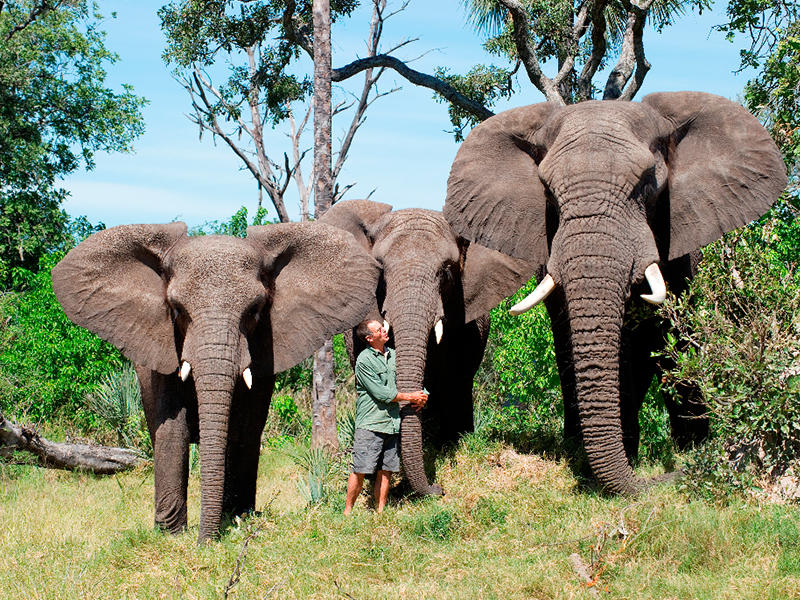 A&K can include a visit to Living with Elephants on a Tailor Made Journey to Botswana. Contact our offices in Australia, the UK or the USA for assistance in creating an itinerary just for you.